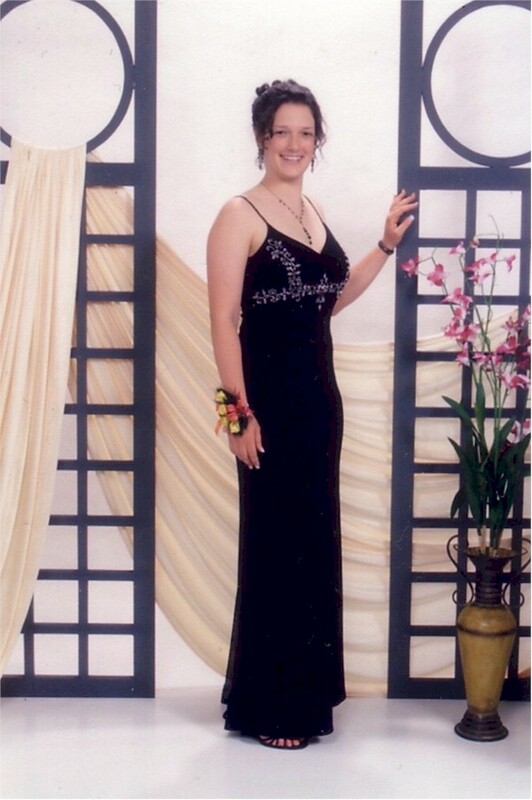 Sarah Elizabeth Lang graduates this month from Bishop Grimes High School in Syracuse, NY. Sarah will receive the Angela Coniglio's Cousins Scholarship, and attend Canisius College. Meanwhile, at Amherst Central High School, Angela's Memorial Scholarship was won by Field Hockey star and leading scorer Emily Warren, who will be attending Erie, PA's Mercyhurst College. 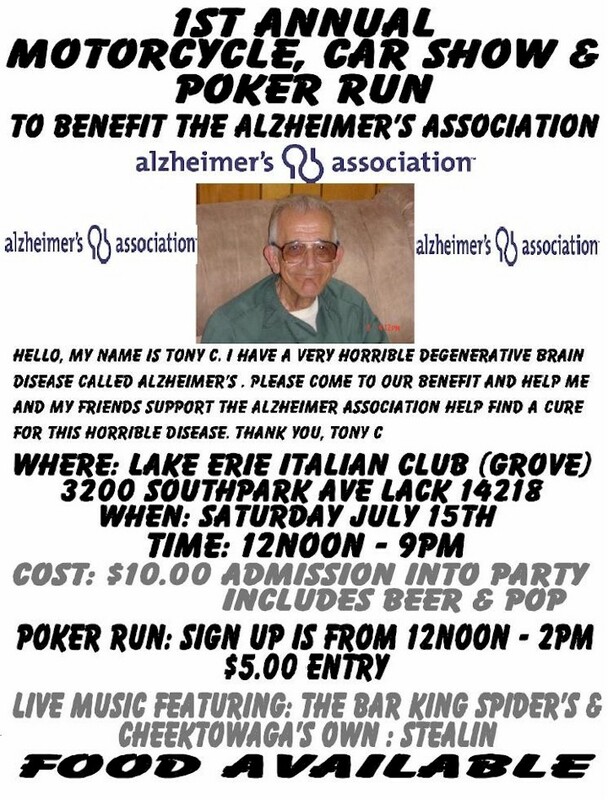 I'm sorry to report that Uncle Tony's Alzheimer's disease has made it necessary to have him placed in a nursing home. Uncle Tony was a driving force at past family picnics. 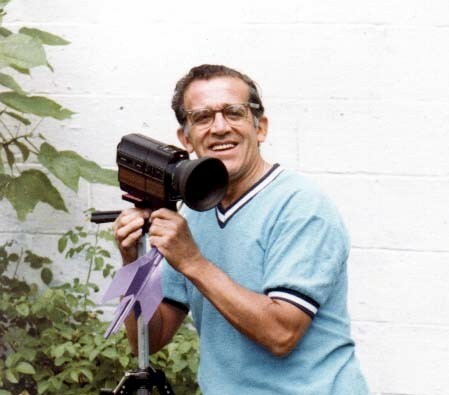 For years, he anonymously paid for the reservations for our family shelters, and he recorded thousands of picnic photos for posterity, including some wonderful shots of the entire group of attendees. He is now at Peregrine's Landing, 575 Cayuga Creek Road. Cheektowaga, NY 14227. He may or may not recognize you, but it would be nice for his nephews and nieces to visit him. Congratulations to Ronald and Debbi Coniglio's son Zachary Skinner, on his Bar Mitzvah; and belated congrats to Sammy and Phillip Tiranno on their graduations from the University of Buffalo. And congratulations, too, to Tommy Coniglio, who has a new venture - an old-fashioned hotdog cart, at Delaware and Huron. nospam.ConiglioFamily@aol.com (remove the "nospam." before using it), and I'll include it when the newsletter is periodically updated. nospam.ConiglioFamily@aol.com (levarli la "nospam." primo di usarli), ed lo includero quando il bolletino è aggiornato. Young Angelo Coniglio has been in the hospital with various problems since last August (2005!). He had spinal fusion in September and is now in long-term care, waiting for the bureaucracy to figure out how to discharge him. Send him a card or visit him at Room 559B, Erie County Medical Center, 462 Grider Avenue, Buffalo, NY 14215. Aunt Connie Miller will be visiting Aunt Mary Sowa, a week before the family picnic, through two weeks afterwards. Jackie, Shelly, Tara, Ben, and Nicholas will also be here for a week, and will be renting at Crystal Beach. Il 28 Maggio 2006, la Zia Connie, la Zia Mary, Jackie, Emma, Michele, Tara ed Dawn, con lo Zio Angelo ed la Zia Angie sono lasciati a Belgio, in cui hanno speso tre giorni con la cugina Antonina Coniglio Barca, i suoi figlii ed nipotini. Jackie, Emma, Michele, Tara and Dawn allora hanno fatto un giro dell'Italia, mentre la Zia Connie, la Zia Mary, lo Zio Angelo ed la Zia Angie hanno volato a Catania, Sicilia. Il nostro cugino Leonardo Fazio ha preso Mary ed Connie a Serradifalco, mentre la zia Angie ed io ha affittato una macchina ed hanno fatto un giro delle nostre radici in Sicilia. On May 28, 2006, Aunt Connie, Aunt Mary, Jackie, Emma, Michele, Tara and Dawn, along with Uncle Angelo and Aunt Angie left for Belgium, where they spent three days with cousin Antonina Coniglio Barca, her children and grandchildren. Jackie, Emma, Michele, Tara and Dawn then toured Italy, while Aunt Connie, Aunt Mary, Uncle Angelo and Aunt Angie flew to Catania, Sicily. Our cousin Leonardo Fazio took Mary and Connie to Serradifalco, while Aunt Angie and I rented a car and toured our roots in Sicily. Gaetano (Guy) Vincent Coniglio, who emigrated to America from Sicily in 1914, died at his Cheektowaga home on June 24, 2006 after a long battle with Alzheimer's disease. He was 93. Born December 21, 1913 in Serradifalco, Sicily, Coniglio emigrated to America as a one-year-old, with his mother, in December 1914. It was at a time during World War I when German U-boats were sinking passenger ships in the Mediterranean. He and his mother Rosa Alessi Coniglio joined his coal-miner father Gaetano in Robertsdale, PA. The family moved to Buffalo in 1920, joining a large contingent of other Serradifalco emigrés. Coniglio was a winner of the Buffalo City Schools' Jesse Ketchum Award in 1926. He served in the US Naval Reserve prior to World War II, and then worked in the war-defense industry at the old Delavan Avenue Chevrolet plant, where he was a tool-and-die maker for 38 years. He and his family were residents of Buffalo until 1969, after which he and his wife, the former Mary Modica, resided in Cheektowaga. He and Mary would have celebrated their 71st wedding anniversary on June 29th. One of a hundred descendants of his parents, Guy Coniglio was a patriarch of his own family, with six children, eleven grandchildren, and seven great-grandchildren. A home gardener with a green thumb, he frequently gifted friends and relatives with the bounty from his efforts - fruits, vegetables, roses, and especially Rose-of-Sharon bushes, which today bear blooms in dozens of back yards in Western New York, and even some in Illinois. In addition to his wife, Gaetano Coniglio is survived by his sons Guy Vincent III, Ronald C., and Brian R., daughters Rosemary Childs, Joan Ketterer, and Carole Pedrick, eleven grandchildren and seven great-grandchildren; brothers Raymond A., Anthony F., and Angelo F.; and sisters Concetta Miller and Mary Sowa. He was pre-deceased by his brothers Leonard and Felice S., and his sister Carmela Volo. We are honored to have had you in our lives all of these years. You have inspired us to be honest, hardworking, generous, and gentle people who should always remember to "live and let live". We'll forever cherish the memories we have of our fishing trips, our shopping trips, your Christmas visits, your beautiful gardens and polished stones... but most of all - your happy smile and laughter. We love you, Grandpa. Enjoy heaven! We were saddened to learn of Uncle Guy's passing. Although we cannot be with you in Buffalo, our thoughts and best wishes are with the family. He will always be remembered in loving thoughts. Our deepest sympathy. He will be remembered in our prayers. Click here for previous issue.